Successfully Added Xiaomi MiTu Quadcopter – Compact Mini Drone, 720p Camera, FPV, 920mAh, WiFi, Headless Mode, 360-Degree Stunts to your Shopping Cart. If you’re looking for a cheap drone that brings along hours’ worth of fun, the XiaomiMiTuQuadcopter is perfect for you! This mini drone features an extremely compact and lightweight design. It can be easily carried along in your pocket. The drone itself is easy to control which makes it a perfect beginner drone. It comes packed with a powerful 920mAh battery that treats you to up to 10 minutes of continuous flight time. Thanks to its small body, this mini drone can be flown both indoors as well as outside. With its built-in HD camera, this video drone allows you to shoot crisp 720 video and pictures from the skies. When used with your smartphone, the drone supports FPV for an ultimate pilot experience. With its 50m control distance, this RC drone lets you explore your surroundings like never before. 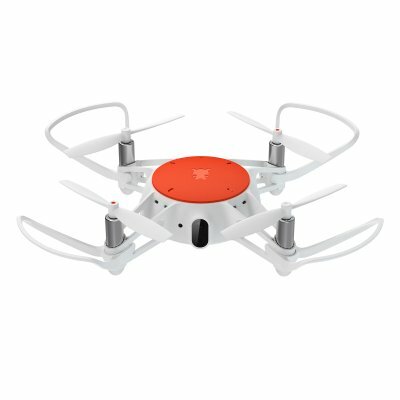 In order to take your user experience to the next level, this drone supports some unique features such as precision hover, 360-degree stunts, as well as multi-machine infrared battle. Thanks to its headless mode, the XiaomiMiTu mini drone is very easy to control. Whether you’re a beginning drone pilot or advanced enthusiast, this compact quadcopter is sure to meet your demands. This drone comes with a 12 months warranty, brought to you by the leader in electronic devices as well as wholesale quad-copters..